Emile-Auguste-Cyprien Driant was a famous French military strategist and politician, who died heroically before Verdun during World War I. Like a 19th century Tom Clancy, Driant also wrote, under the nom-de-plume of "Captain Danrit," a number of very popular "techno-thrillers," which he used to develop his ground-breaking military theories, especially in regards to the application of then-new technologies to modern and future warfare. 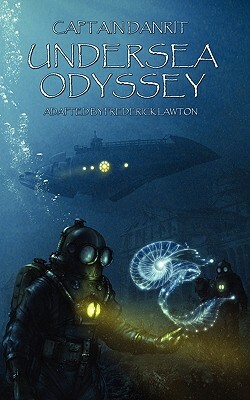 In Undersea Odyssey (1908), Driant tackled the use of the modern, 200-ton submarines which had just been introduced in the French Navy a few years earlier, campaigning for more safety measures through the harrowing and suspenseful tale of sailors trapped thirty fathoms below in the Mediterranean. This book reprints the 1910 translation by Frederick Lawton, and includes an illustrated Driant biography and bibliography by Jean-Marc Lofficier.